It isn’t that Abby Carson can’t do her schoolwork. She just doesn’t like doing it. And in February a warning letter arrives at her home. Abby will have to repeat sixth grade—unless she meets some specific conditions, including taking on an extra-credit project to find a pen pal in a distant country. Seems simple enough. But when Abby’s first letter arrives at a small school in Afghanistan, the village elders agree that any letters going back to America must be written well. In English. And the only qualified student is a boy, Sadeed Bayat. Except in this village, it is not proper for a boy to correspond with a girl. So Sadeed’s younger sister will write the letters. Except she knows hardly any English. So Sadeed must write the letters. For his sister to sign. But what about the villagers who believe that girls should not be anywhere near a school? And what about those who believe that any contact with Americans is . . . unhealthy? Not so simple. But as letters flow back and forth—between the prairies of Illinois and the mountains of central Asia, across cultural and religious divides, through the minefields of different lifestyles and traditions—a small group of children begin to speak and listen to one another. And in just a few short weeks, they make important discoveries about their communities, about their world, and most of all, about themselves. Sadeed knew he wasn’t supposed to be listening to the men talking in the next room. He also knew he wasn’t supposed to be peeking through the crack near the bottom of the old wooden door. But they had to be talking about him in there—why else would his teacher have invited him to the home of the headman of the village? Sadeed thought perhaps his teacher was going to recommend him for a special honor. That wasn’t hard to imagine, not at all. Perhaps the village elders would award him a scholarship to one of the finest new schools in Kabul. He would wear blue trousers and a clean white shirt to classes every day, and he would have his own computer, and he would take his place as one of the future leaders of Afghanistan. His father and mother would be very proud of him. It would be a great opportunity. And Sadeed was certain he richly deserved it. Through the crack in the door, Sadeed could see all seven men, sitting on cushions around a low table, sipping tea. An electric bulb hung overhead, and two wires ran across the ceiling to the gasoline generator outside. Mahmood was talking to Akbar Khan, but the teacher’s back was toward the door, and Sadeed couldn’t hear what he was saying. When the teacher finished, someone Sadeed knew—Hassan Jaji—began to speak. Hassan stopped by his father’s shop in the village bazaar at least once a week, and he sometimes stayed awhile, telling stories about his time as a freedom fighter during the war with the Soviet Union. One day he had shown Sadeed where a Russian grenade had blown two fingers off his right hand. It isn't that Abby Carson can't do her schoolwork; it's just that she doesn't like doing it. And that means she's pretty much failing sixth grade. When a warning letter is sent home, Abby realizes that all her slacking off could cause her to be held back—for real! Unless she wants to repeat the sixth grade, she'll have to meet some specific conditions, including taking on an extra-credit project: find a pen pal in a foreign country. Abby's first letter arrives at a small school in Afghanistan, and Sadeed Bayat is chosen to be her pen pal . . . Well, kind of. He is the best writer, but he is also a boy, and in his village it is not appropriate for a boy to correspond with a girl. So his younger sister dictates and signs the letter. Until Sadeed decides what his sister is telling Abby isn't what he'd like Abby to know . 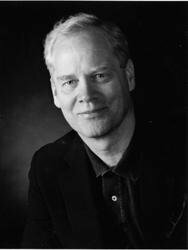 . .
• Author Andrew Clements chose the state of Illinois in the United States and Afghanistan as the settings in Extra Credit. Why do you think Clements selected these locations? What kinds of differences between the two countries—cultural and otherwise—can you identify after reading the book? 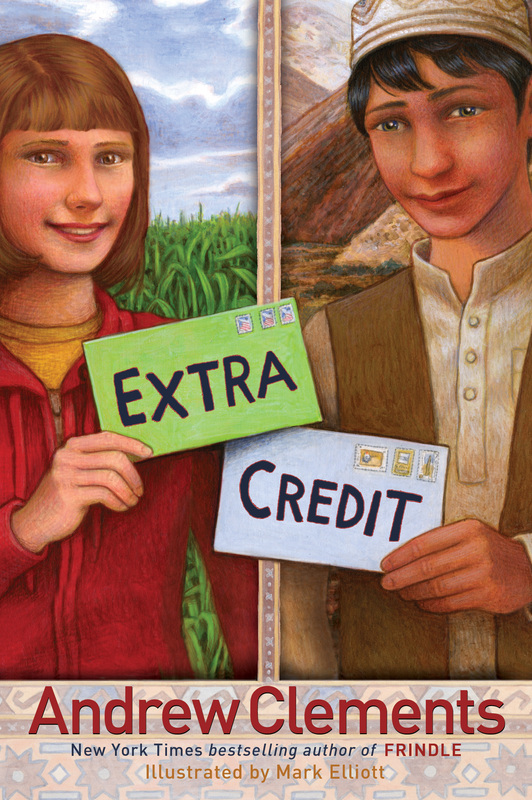 • On the first page of Extra Credit, Afghani student Sadeed thinks that his teacher is going to “recommend him for a special honor,” but when he finds out that his teacher wants him to help write letters to a girl in America, he is very disappointed. Nevertheless, how does this letter writing eventually turn into a “special honor” for Sadeed? • The character of Abby is introduced in the story when she is climbing a rock wall in her school’s gym. Are you surprised to find out that Abby is struggling in school after reading about her abilities on the rock wall? Despite her grades, do you believe that Abby is actually very smart? Why or why not? • As a class, have a discussion about Abby and Sadeed. Do Abby and Sadeed have similar personalities? Also, compare and contrast their everyday lives by talking about the following: their homes, their schools, their teachers and their parents. How are they alike and how are they different? • As pen pals, Abby, Sadeed, and Sadeed’s sister Amira communicate the old fashioned way—by sending letters to each other in the mail. Why is this their only method of staying in touch? What are some conveniences Abby and her friends have in the U.S. that Sadeed and Amira do not have in Afghanistan? • The rock wall at Abby’s school in Illinois and the mountains of Afghanistan are symbols in Extra Credit—they stand for something else. What do they represent? • Abby learns from Amira and Sadeed’s letters that not all of the girls in their Afghanistan village are allowed to go to school. Amira is glad that her father “permits” her to go to school. How did this make you feel when you read this? • The connection between brothers and sisters is explored in Extra Credit. How is Sadeed’s relationship with Amira different from Abby’s relationship with her brother Tom? • In the novel, Sadeed writes to Abby that he only has one book in his home, and that his teacher has taken a chance by allowing him to read books that are not approved by the Ministry of Education in Afghanistan. What did you think about this? • Discuss how a writer uses “foreshadowing” in a book. How does Clements use foreshadowing throughout Extra Credit? Identify parts of the story where foreshadowing is present. • While reading this book, we learn that Abby and Sadeed are taking risks by communicating with one another. Why do you think Sadeed decides to correspond with Abby when he knows that it is forbidden? Do you think Abby realizes that her letters to Sadeed would create controversy at home and in Afghanistan? • When Abby gives her oral report on her project at the end of the book, her classmates look bored and uninterested. Imagine you are a student in Abby’s class. Would you feel the same way about her report? Why or why not? • Abby is reluctant to do her extra credit assignment at first. But how was the project actually a good thing for her in the end? • By the end of the story, Abby and Sadeed have a greater understanding of each other’s lives and cultures. After finishing the book, talk about what else you think Abby and Sadeed learned from exchanging letters. • How much did your students know about the country of Afghanistan before reading Extra Credit? Find out more about this country. Research the history of Afghanistan, and talk about present-day life in this country. What problems does the country face today? • Start your own “Project Pen Pal” in your classroom! Encourage your students to find and communicate with their own pen pals. Conduct research on the Internet to find organizations that supply pen pal names and information. Then, after a few months of correspondence, create a bulletin board similar to Abby’s. Display pen pal letters and other information from your class’s new friends. • Talk about the significance of the small rock Sadeed sends to Abby from Afghanistan, and the dirt Abby sends from Illinois to Afghanistan. If your students had a pen pal in another country, what would they send to them to represent your hometown? Have everyone bring this item into school. It will be interesting to see if everyone brings in the same thing—or not! • Extra Credit is a book that celebrates the power of friendship. Have your students make a list of other books they have enjoyed that celebrate friendship, and share these lists with the class. • What would it be like to be a character in Extra Credit? Ask your students to imagine if they had the power to jump into this book. Would they be a friend of Abby, Sadeed, or someone else? Why? • Read Arnold Lobel’s story Frog and Toad Are Friends with your students. After reading the story, ask you students why they think Clements chose this book to highlight in Extra Credit. Who in your class can identify more with Frog? And who is more like Toad? • Continue the story in Extra Credit after the book ends. Have your students write about what they think happens to Abby and Sadeed. Do Abby and Sadeed get back in touch again? Do they ever meet? What does the future hold for Abby and Sadeed? Compare and contrast everyone’s thoughts.